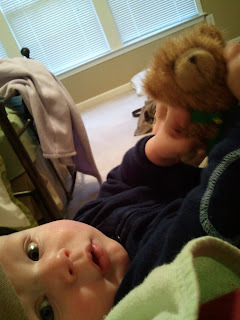 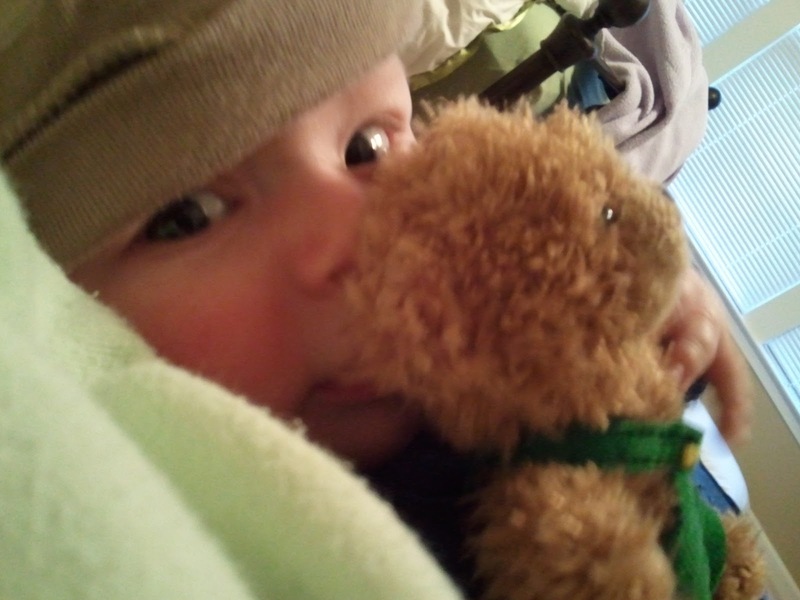 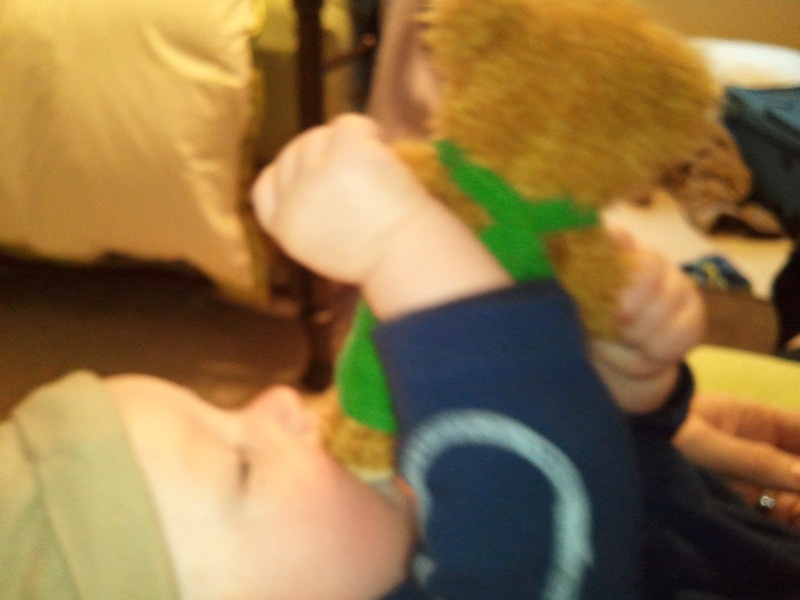 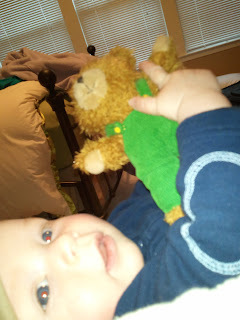 Ethan loves his Corduroy Bear stuffed toy he got from his Aunt Sarah for Christmas. 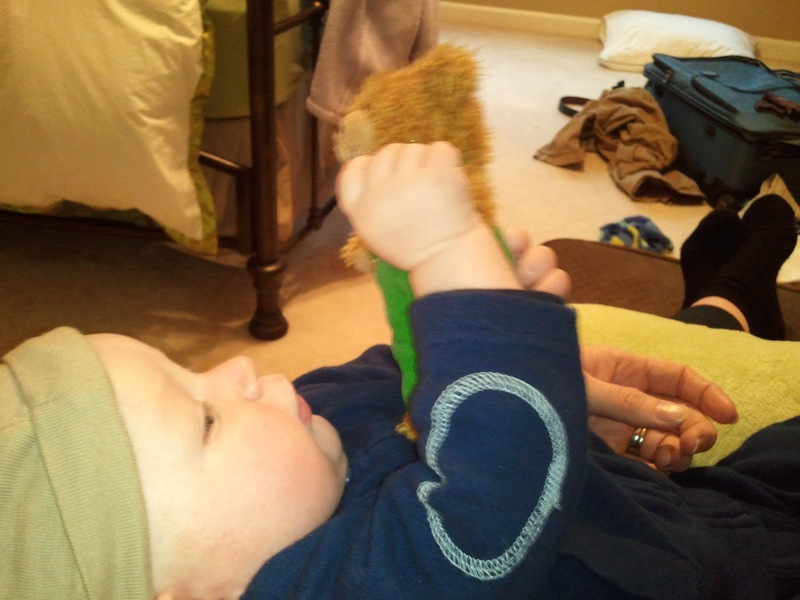 I think part of it is because the bear is so cute and part of it is because his bear is so easy to grasp (because of the overalls). 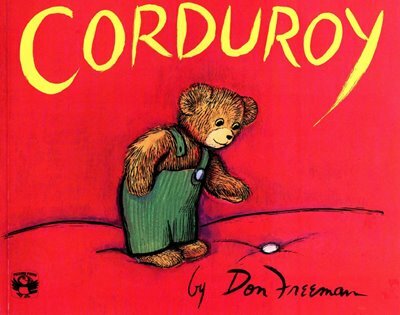 Here are some photos of Ethan playing with Corduroy a few days ago.